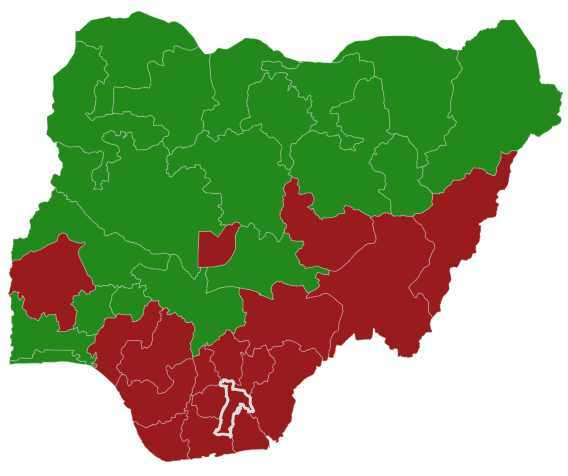 Nigerians voted on 23 February. President Muhammadu Buhari (APC) faced former Vice President Atiku Abubakar (PDP). APC won 19 states while PDP won 18. Also, APC won 15,191,847 votes while PDP picked 11,262,978 votes. To be declared the winner, an aspirant must win a majority of votes cast, and at least 25% of the votes in 24 or more of the 36 states. Based on these numbers, President Buhari is projected to be re-elected. PDP (Atiku) has won 17 states, APC (Buhari) 16. 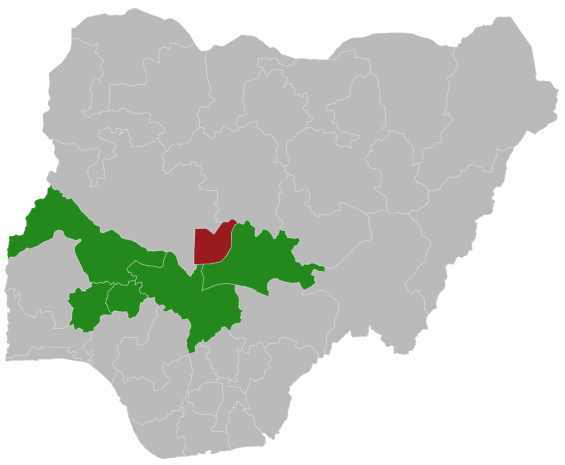 Remaining to call are Zamfara, Kebbi, Rivers, and Sokoto. Of course, the numbers (total votes) look better for APC. The candidate of the All Progressives Congress (APC), Yakubu Oseni, has been declared winner of the Kogi Central Senatorial election. The incumbent Senator, Ahmed Ogembe of the Peoples Democratic Party, scored 19, 359 votes to come third in the election. The Independent National Electoral Commission (INEC), has declared Akon Eyakenyi of the Peoples Democratic Party (PDP) as the winner of Akwa Ibom South Senatorial seat. Binta Masi the senator representing Adamawa North has lost her reelection bid under the All Progressives Congress (APC) to Ishaku Cliff of the Peoples Democratic Party (PDP). Akpabio (Akwa Ibom) is projected to lose Senate. ThisDay has already called it for his challenger. The PDP senatorial candidate and former Deputy Governor of Akwa Ibom State, Christopher Ekpenyong, won in 8 of the 10 LGAs while Akpabio got one. Atiku (PDP) leading comfortably in Akwa Ibom ahead of Buhari (APC). PDP Bassey Albert (Akwa Ibom North East) re-elected for a second term. Defeats APC Bassey Etim – 147,731 votes to 60, 930. Governor Rochas Okorocha is leading in election results announced so far from Imo West Senatorial District election.He has won in eight out of the 12 local governments in the district. Speaker of the House, Dogara (PDP) wins in Bauchi. Mr Dogara was declared the winner by the returning officer for the constituency few minutes past 10 p.m. on Sunday. Orji Uzor Kalu (APC) has won Senate (Abia North). Kalu won with 30,580 votes while the closest opposition candidate from the Peoples Democratic Party, Senator Mao Ohuabunwa recorded 21,940 votes. Atiku (PDP) leading in 4 out of 5 LGAs declared in Imo state. Atiku (PDP) wins 9 out of 10 LGAs declared in Oyo. The state has 33 LGAs. Buhari (APC) has defeated his main challenger, Atiku Abubakar of the PDP, in six LGAs in Katsina State. Results from more LGAs are expected. 4 out of 9 LGAs in Oyo South Senatorial District are out, APC Abiola Ajimobi (current governor) lost in all four. The PDP (Kola Balogun) won in all 4. 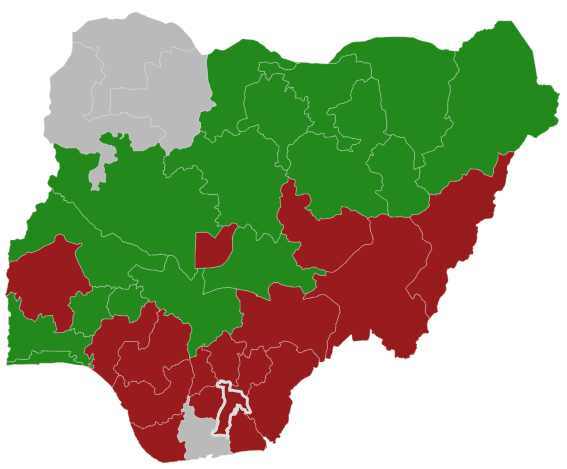 Buhari (APC) has won 12 of the 13 local government areas so far declared in Kwara state; Atiku (PDP) won just one. Buhari won in incumbent governor and Senate president (Saraki)’s LGAs. The Senate Minority Leader, Biodun Olujimi (PDP, Ekiti South) has lost defeated by Dayo Adeyeye of APC – 53, 741 to 77, 621. Also, Fasina Abayomi (PDP, Ekiti) was defeated by an APC chieftain, Olubunmi Adetunbi – 49,209 to 60,689 . Opeyemi Bamidele of the APC and a former member of the House of Representatives was declared winner of the Ekiti Central Senatorial District, defeating the PDP counterpart, Obademi Adewale.While Mr Bamidele scored a total of 94,279, Mr Adewale polled a total of 48,707.votes. APC’s Olanrewaju Ibrahim was declared winner for Ekiti North 2 federal constituency. He scored 29,388 votes to beat Olusola Omotoso of the PDP who polled 23, 684 votes. Yemi Adaramodu of the APC is winner of the Ekiti South federal constituency having polled 41, 864 to beat Segun Adekola of the PDP who had 25, 707. APC Ajibola Bashiru has emerged the winner of Osun Central Senatorial seat. Mr Bashiru was declared winner by the Returning Officer. The APC candidate had 132,821 votes against his closest rival, Ganiyu Olaoluwa, of the People’s Democratic Party (PDP) who polled 106,779 votes. The Imo State Governor, Rochas Okorocha, has won with wide margin the senatorial elections results in Ideato South Local Government Area (LGA) of the state. In the presidential polls, Muhammadu Buhari also scored 20,663 votes in the LGA to beat Atiku Abubakar, candidate of the PDP who polled 8,844 votes. PDP has won in 7 of the 10 local LGAs in Ondo State presidential election results released so far. Eight local governments are yet to be announced. The tally gives the PDP 118,358 votes, while the APC has 99,712 votes. President Muhammadu Buhari won PU003 polling unit at Sarkin Yara ward A, in Daura, Katsina. The president scored 523 votes while Atiku Abubakar of PDP got 3 votes. However, APC candidate for Katsina North, incumbent Kaita Baba-Ahmad, lost the unit to the candidate of Accord party, Lawal Nalado. Mr Nalado scored 263 while Mr Kaita scored 248 votes. President Muhammadu Buhari defeated Atiku Abubakar at Atiku’s polling unit. Mr Buhari scored 186 votes while Atiku got 167 votes.